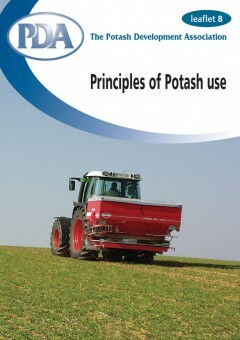 The PDA produces a range of leaflets relating to potash and its use. 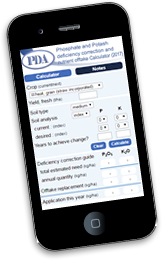 These clear and informative publications can be viewed on-line and downloaded as PDF files. If you would to receive a copy of a leaflet then contact us and let us know your details and the leaflet you are interested in. 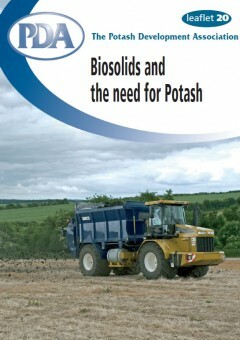 Biosolids (sewage sludges) provide useful contributions of nitrogen and phosphate but virtually no potash. 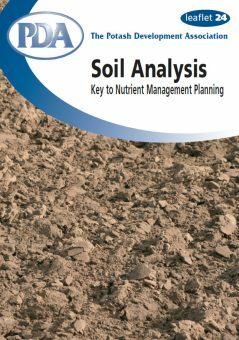 Typical contents of biosolids are given together with recommendations for balancing K requirements. 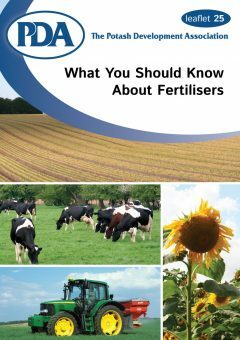 Provides a layman’s description of plant foods and explains the natural origins of potash and justification for its use as a fertiliser in simplistic terms. 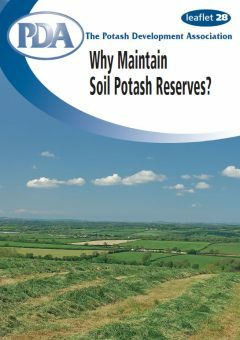 A review of the factors underlying the importance of adequate reserves of potash in the soil, and the costs of deficiency. 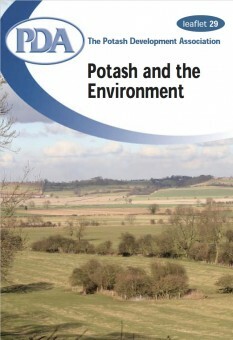 The use of potash does not have an environmental downside, but lack of K can reduce efficient plant uptake of N and P. This leaflet looks at the issues including cross-compliance and good practice. 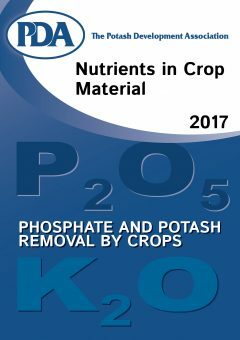 Phosphate and Potash removal by crops. 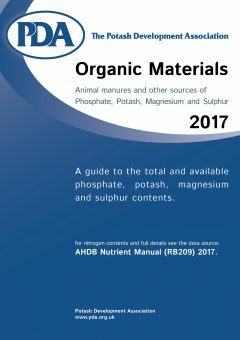 Animal manures and other sources of Phosphate, Potassium, Magnesium and Sulphur. 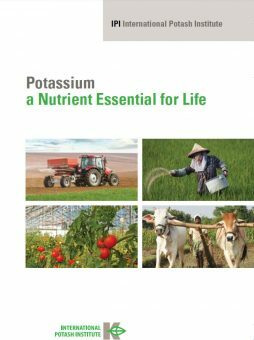 Potassium is one of the key elements for life on earth. 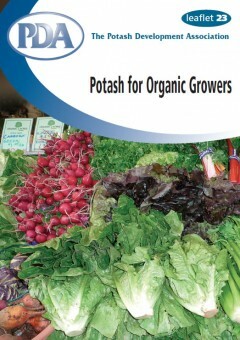 It is required in large quantities by all plants and animals and is obtained by plants from the soil in which they grow. 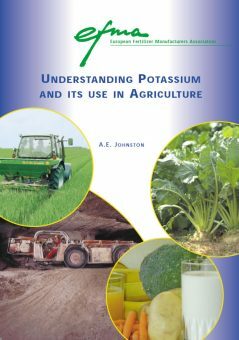 The book provides vital and clear reference material on the role of potassium in plants, animals and humans, its origins in nature, its uses to mankind, its importance and correct use in agriculture, its movement in air, water and soil, and its place in manures and fertilisers.